One day I was browsing through some of my favorite blogs and I came across a website called Influenster which is a community where you can share reviews, news, and products through social media. Since I love to check out reviews before I buy anything, I figured I would check it out. After creating my account, I was asked a series of questions about myself and bam! I was surprised to receive an invite to be a part of their newest campaign involving a Voxbox. A Voxbox is a box that Influenster sends to you and it contains various full-size items to try for FREE! YAY!! I love free stuff don’t you? The campaign I was chosen for was a Nurture Voxbox and contained items like shampoo, sunscreen, Dramamine, face mask, Uncle Ben’s rice, RedVines, and OreIda fries. Once you have tried your products you can write reviews and complete tasks to be eligible for additional prizes. Although you may not meet the criteria for a Voxbox every time, Influenster is still a very useful site for finding great new products. Read the review on that awesome new lip tar you’ve had your eye on before dishing out the dough. I can’t tell you how many products I didn’t blow money on or products I went out and bought due to Influenster’s reviews. 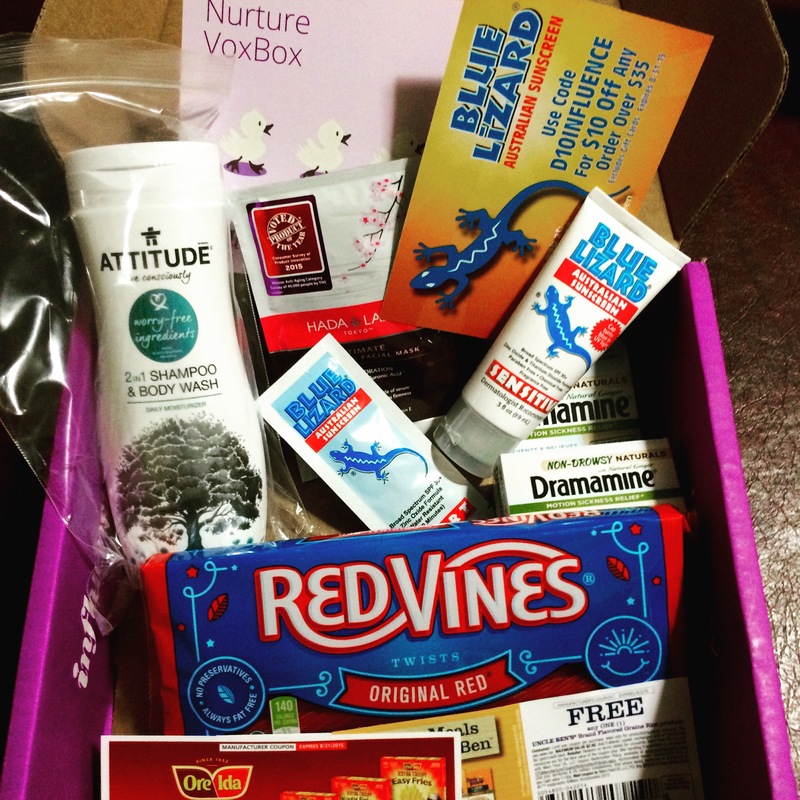 I thoroughly enjoyed my Nurture Voxbox as well as completing the tasks. In essence, the more involved you are (socially) the better your chances of a campaign invite. Also, you must be in the targeted group of recipients they are seeking. For example if the latest campaign is for new mothers and you have teenagers then you won’t qualify for that campaign but hang tight because that perfect campaign is waiting for you!! Previous Skin Care: Infused Facial Waters: Are They Worth the Cash for the Splash? Next Last minute Father’s Day gift guide!!!! Thanks for sharing influensteraddict. I hope you love influenster as much as we do! !